Do you immediately conjure up images of rock stars playing the guitar in the plaid shirts when you come across the word 'flannel'? 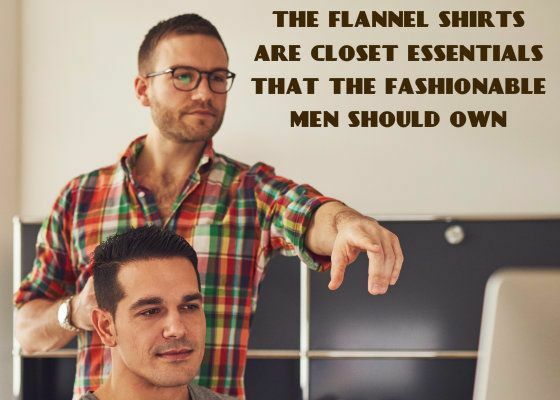 Well, definitely the flannel fashion traces itself back to the era of lumberjacks and grunge, but today they are reinvented with endless style possibilities and men can look more dapper in the newest versions of contemporary flannel shirts. Though people carry the misconception about wholesale flannel shirts that plaid is flannel and flannel is plaid, there is a clear fact behind this. Basically, flannel is a fabric that is made of wool or cotton making it highly comfortable and soft. Flannel is unique in its ability to retain heat and wick away moisture, making it the perfect staple for any weather condition. Before jumping to any conclusion, you need to clear your doubts regarding flannel. Plaid is a pattern involving checks, and flannel is a fabric. Very affordable, and its high capacity to retain heat made this fabric so much in demand. The origin traces back to Wales in the 16th century, and the durable flannel shirts were then used by men due to the amazing features they offered. The flannel shirts appeared in the US in the late 1800s, and during the 1950's the red and black timeless plaid flannel shirt design became a classic style statement. This clothing style made its way to the American history when Kurt Cobain championed the grunge musical look in vintage flannel. The leading flannel shirts wholesale hubs have brought in the flannel shirts in an array of styles and designs these days and men must think of offbeat ways to wear them. Here are three major ways to dress up in the modern flannel shirts for today's age. If you are getting ready for a casual event or occasion, the flannel shirts can come to your rescue help you get rid of fashion woes. Go back to simple times and casually pair a monochrome flannel button-up shirt with blue jeans and chukkas. The denim trouser can be of raw-denim to add a twist to this otherwise plain look. Do you want to capture the essence of retro vibes through a grunge look in the check flannel shirts crafted by flannel shirts wholesale distributors? You can try pairing the unbuttoned flannel shirt with a relaxed graphic or plain tee, slim denim, and Converse or boots. This can be your next look for the weekend party! Beta your Monday blues at the office by pairing a simple shirt with a flannel suit or a strict business formal blazer with a flannel shirt. You can opt for a plaid variation to make a statement or go for solid hues to stay safe.